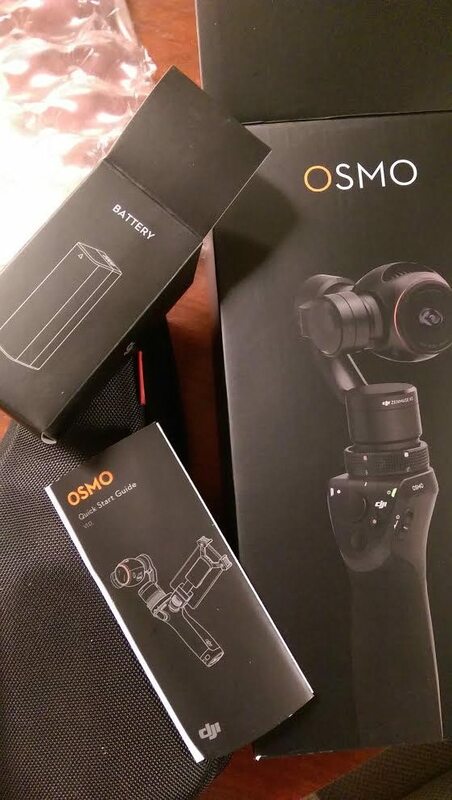 The amazing, and totally righteous DJI Osmo handheld stabilization unit has arrived- and boy are we pumped! As I told you before, the Osmo takes handheld video production to a whole new level. With a 3-axis stabilization system for a 4K camera, you can be sure to get brilliant, smooth video, walking, running, driving on a bumpy road, wherever. While the DJI Ronin is useful and game-changing in it’s own right, the Osmo gives you smoothness and stability in a much more compact and easy-to-use, easy to operate device that can fit inside your pocket (if you have big pockets). The camera is the same camera that comes on the DJI Inspire drone, and it’s been nothing but wonderful and has impressed us with each use. We can’t wait to get it on set and continue to broaden our horizons. Hi ho Silver, away!